Degradable Poop Scoop Bags. Size - 180 x 280 x 380 mm ,12 Micron Thick, Dark Green. 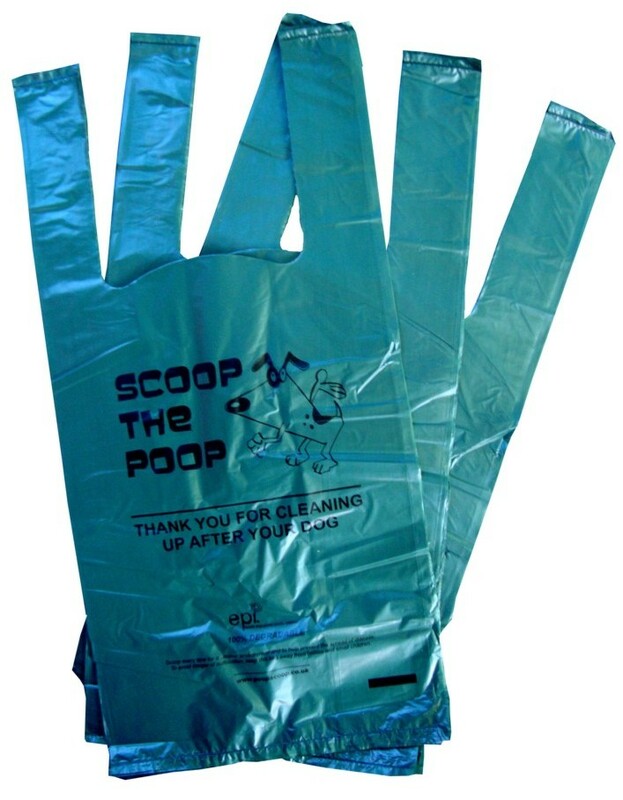 Kind to the environment, use our degradable poop scoop bags to clear up your dogs mess. These quality degradable economy vest type dog poop scoop bags with easy to tie handles are identical to our standard bags but 12 micron thick.